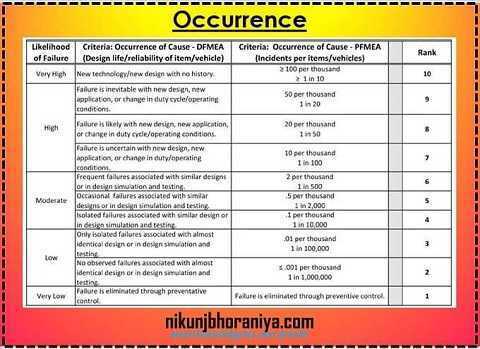 What is Severity Occurrence Detection and RPN Number in FMEA? HomeFMEAWhat is Severity Occurrence Detection and RPN Number in FMEA? 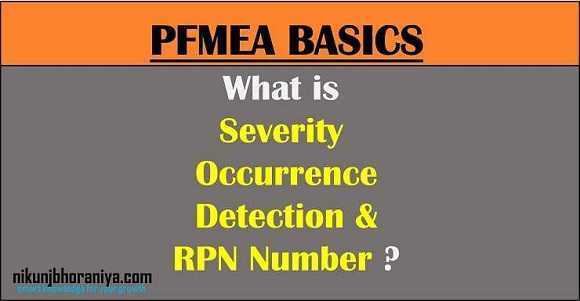 What is Severity Occurrence Detection & RPN Number in FMEA? → Severity Occurrence Detection and RPN Number is commonly used in FMEA. 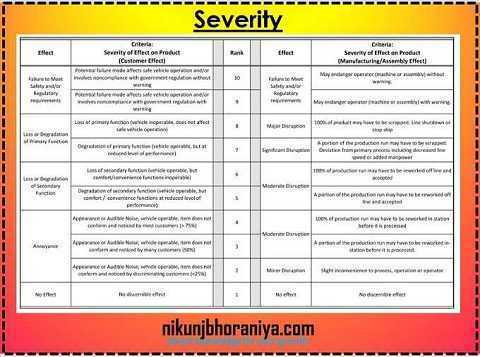 → “Severity” is a ranking number associated with the most serious effect for a given failure mode, based on the criteria from a scale. → It is a relative ranking within the scope of the specific FMEA and is determined without regard to the likelihood of occurrence or detection. → 10 representing the most dangerous safety concern. → In most cases, processes with severity scores exceeding 8 may require a fault tree analysis, which estimates the probability of the failure mode by breaking it down into further sub-elements. → The severity ranking is based on a relative scale ranging from 1 to 10. → A “10” means the effect has a dangerously high severity leading to a hazard without warning. → Conversely, a ranking of “1” means the severity is extremely low. → “Occurrence” is the fact or frequency of something happening. → "It assesses the chance of a failure happening". → The rankings are based on how frequently the cause of the failure is likely to occur. → 10 representing the highest occurrence means more chance of failure. → For example, a score of 1 may be assigned to a failure that happens once in every 5 years, while a score of 10 may be assigned to a failure that occurs once per hour, once per minute, etc. → "Detection assesses the chance of a failure being detected." → "It is Based on the chances of the failure will be detected prior to the customer finding it." 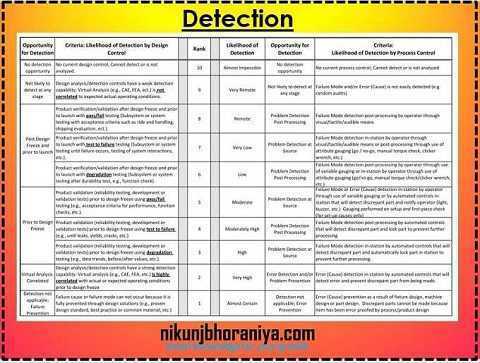 → The Detection ranking scale, like the Severity and Occurrence scales, is on a relative scale from 1 to 10. → 10 representing the lowest chance of detection this basically means that there are no controls in place to prevent or detect. → RPN = Risk priority number = Severity X Occurrence X Detection. → The RPN is the Risk Priority Number. → The RPN gives us a relative risk ranking. → Higher the RPN, the higher the potential risk. → The RPN is calculated by multiplying the three rankings together. → Multiply the Severity ranking times, Occurrence ranking times and Detection ranking. → Calculate the RPN for each failure mode and effect. → The RPN gives us an excellent tool to prioritize focused improvement efforts. → By Rule of Thumb, high RPN value requires an action.